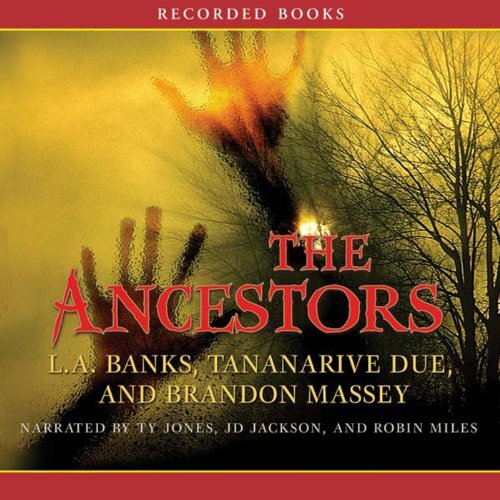 Showing results by narrator "Tye Jones"
L.A. Banks, Tananarive Due, and Brandon Massey are three of the hottest names in suspense fiction. In this collection of flesh-crawling tales, each author contributes one deliciously twisted selection. A writer unearths dangerous truths in backwoods Mississippi and a man's sanity - and life - are threatened by disturbing visions. Then, in the third and final tale, two children are forced to face off against terrifying ancestors. 3 Black Supernatural stories by 3 authors.